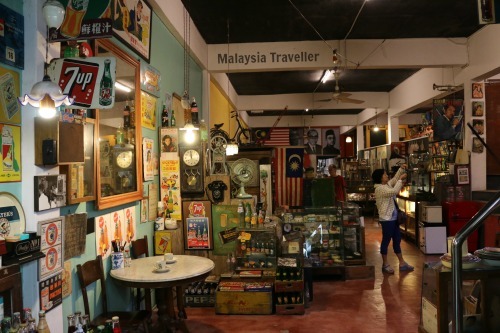 The collection has been curated by Mr. See Kok Shan, a local Cameron Highlander with a passion for collecting old stuff pertaining to the Cameron Highlands’ early days and Malaysia’s history. The museum was opened in 2007 in a kind of metal warehouse adjacent to a strawberry farm on the main road on the outskirts of Brinchang. Orang Asli. 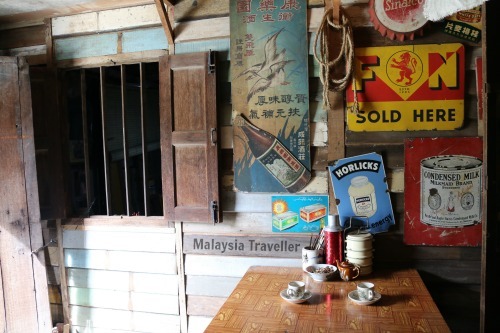 Photographs and information about the orang asli people who inhabited the Cameron Highlands area before the arrival of outsiders. 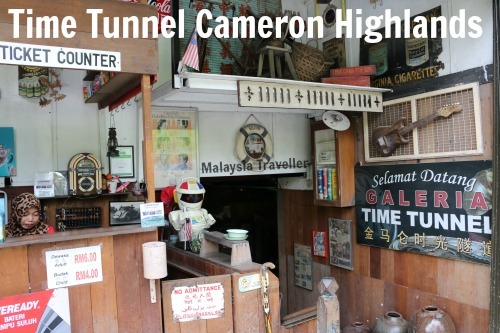 Cameron Highlands Chronology. A historical timeline charts the origins of the highlands from their ‘discovery’ in 1885 by William Cameron up until their early development as a hill resort in the 1920s and 30s. Emergency Period. Documents and posters from the Emergency are displayed. Old Photos. 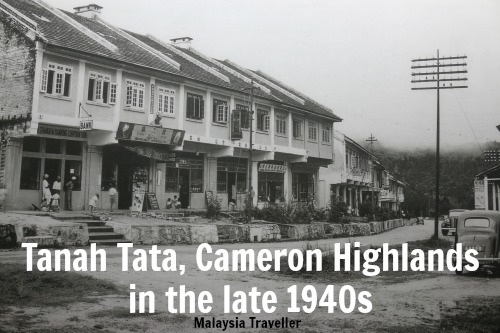 Black and white photos from the 1950s and 60s provide a nostalgic reminder of how the Cameron Highlands used to be. Jim Thompson. A section is dedicated to the mysterious circumstances surrounding the disappearance of Jim Thompson, the American founder of the Thai silk business that still bears his name. He vanished during a walk in the Cameron Highlands in 1967. Advertising Materials. Mr. See has accumulated many collections over the decades but there is a particular strength in adverting materials such as old posters, adverts and all sorts of items bearing logos especially soft drink brands, beers, cigarettes and hot drinks. Kopitiam. There is a mock up of a traditional old style coffee shop with nostalgic music playing in the background. Mobile Food Stall. A bicycle-mounted noodle stall, complete with utensils and ingredients, is on display. Barber Shop. 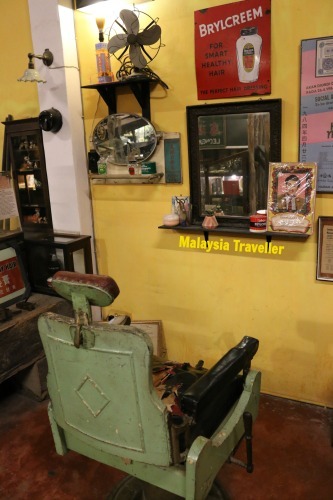 Similarly there is a mock up of the interior of a typical traditional barber shop with the old fashioned chair, mirror and accessories. I enjoyed this place very much and it is great that Mr. See has preserved these everyday items from yesterday for the current and future generations to see. Definitely a highlight of any trip to the Cameron Highlands. I have marked the exact location on the map on my Top Pahang Attractions page. Limited free parking is available on the roadside in front of the museum.